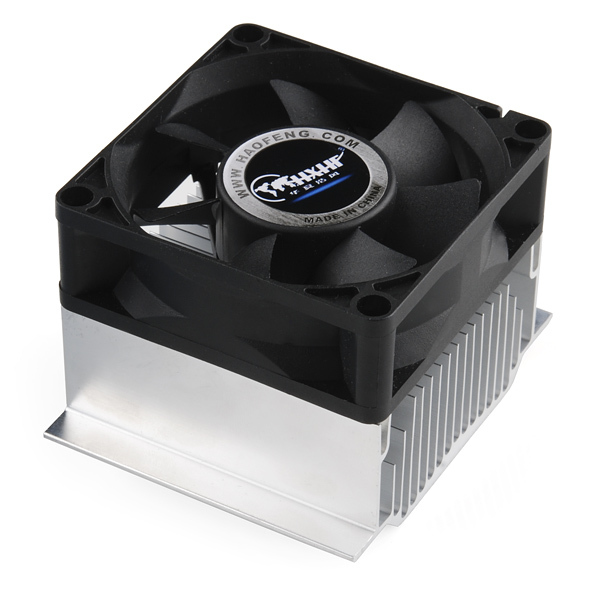 This heatsink and fan combo was originally designed to work with an Intel Pentium 4 478 on a computer motherboard, but we find it works well in combination with our thermoelectric cooler. 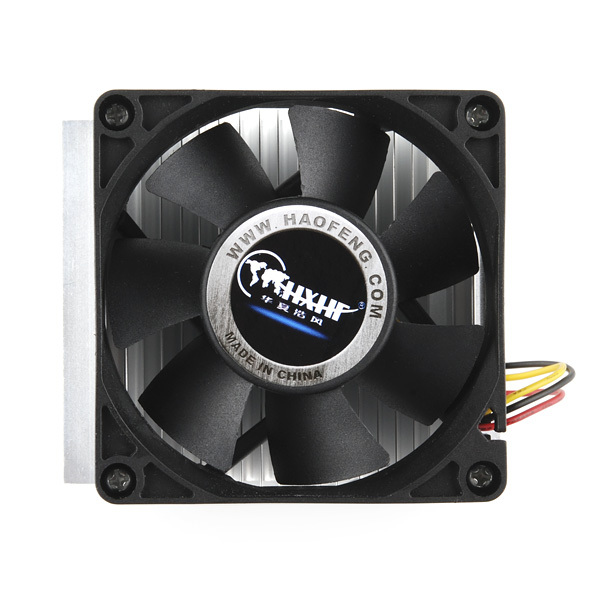 The 70mm fan runs at 3500 RPM at 12V. 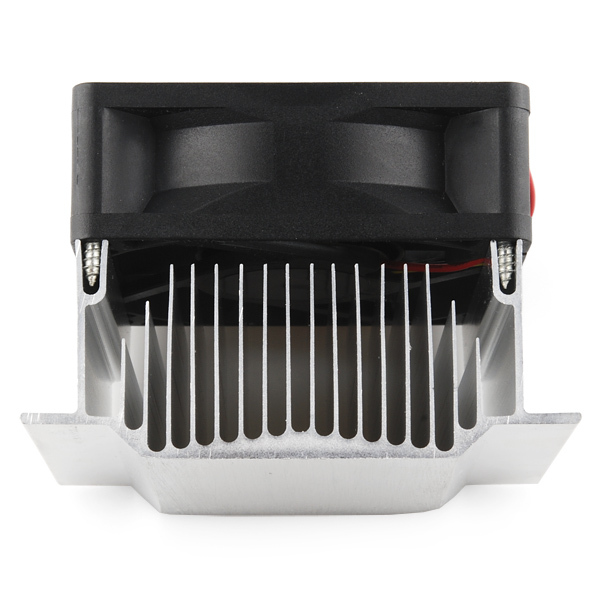 It has an RPM signal wire for sensing fan speed as well as two connectors for power. 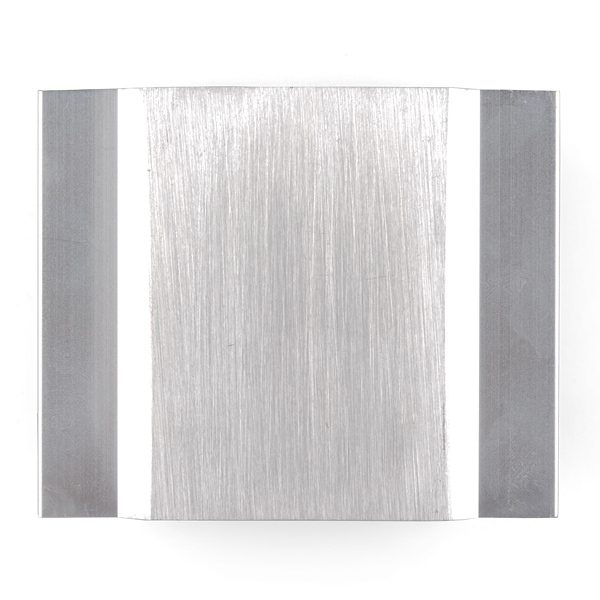 The heatsink measures 80×69mm at the base and is 35mm tall. Overall (with the height of the fan) the combo is 60mm tall. The fan itself is about 25mm tall. Any chance we can get rulers added to those pictures, or ideally some outermost dimensions? Need to know if this will fit in a given space or not, and the 80x69mm dimension of the bottom face is great and all, but it clearly gets wider than that. Is there a max current rating for this? Does it matter? 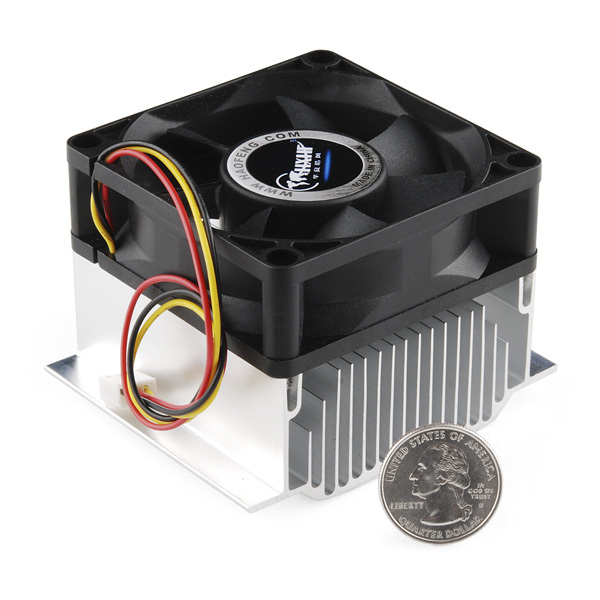 I purchased two of these fans to use with some 40mm square TECs. 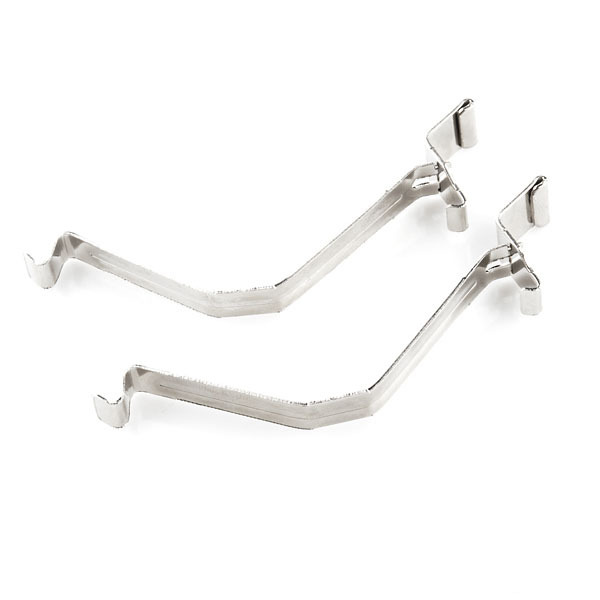 I noticed the bottom of each unit was ever so slightly concave. As a result, I was not able to get adequate thermal contact between the TECs and the heat sinks using the thermal tape listed below. If you plan to use these heat sinks, order the thermal grease. Is the red wire positive, the yellow wire RPM, and the black wire negative? That is standard for computer muffin fans, yes. I'd love to see SparkFun characterize their heatsinks and heatsink/fan combos by providing a thermal resistance value for each of them. That would really help people who are trying to come up with designs that you can just get right the first time without too much experimentation. How about turning this into a solderpaster cooler?